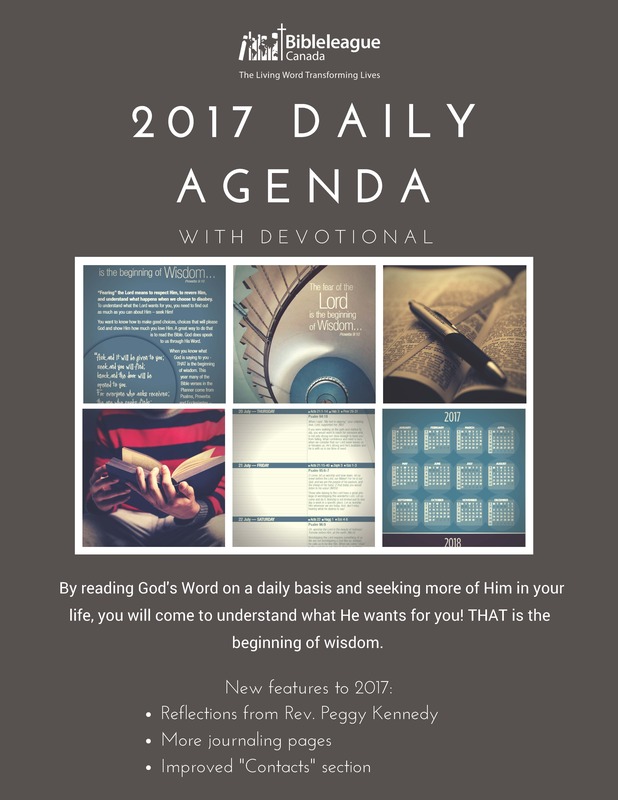 20 Dec 2017 Bible League Devotional Day Planners! This powerful verse from Proverbs 9:10 is the basis of the compelling theme of the 2017 Devotional Day Planner: wisdom. By reading God’s Word on a daily basis, seeking more of Him in your life, you will come to understand what He wants for you! When you know what God is saying to you-THAT is the beginning of wisdom. This year many of the daily Bible verses with reflection centre around the Wisdom books, Psalms, Proverbs and Ecclesiastes. 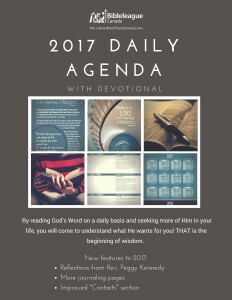 Seize the opportunity in 2017 to begin a daily reading of Scripture with this resourceful and eye-catching planner and devotional. Extra journaling pages. . . and more! Available for purchase at $3.00/each, at the church office during office hours or on Sundays. 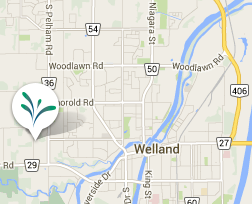 See Barb Baird, email info@wellspringchurch.ca or call 905.735.2503 to get yours!